These pretty tin pails offer an unusual way to give your guests a small memento of your wedding day and can be used to hold chocolates, sweets or sugared almonds. 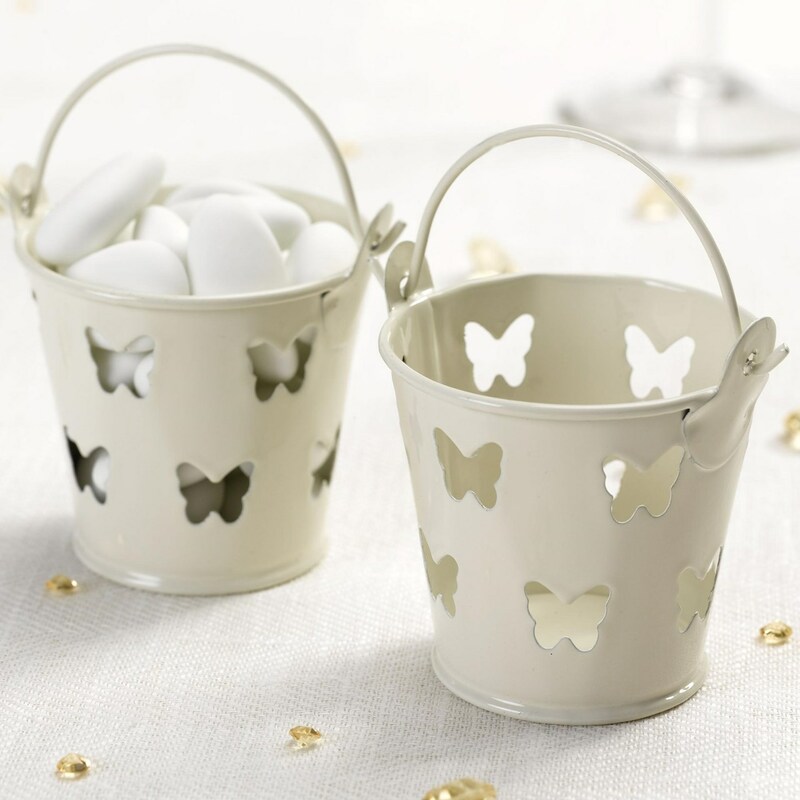 Delicate ivory or white pails are punched with mini butterflies, tapping into the enduring popularity of this attractive motif. 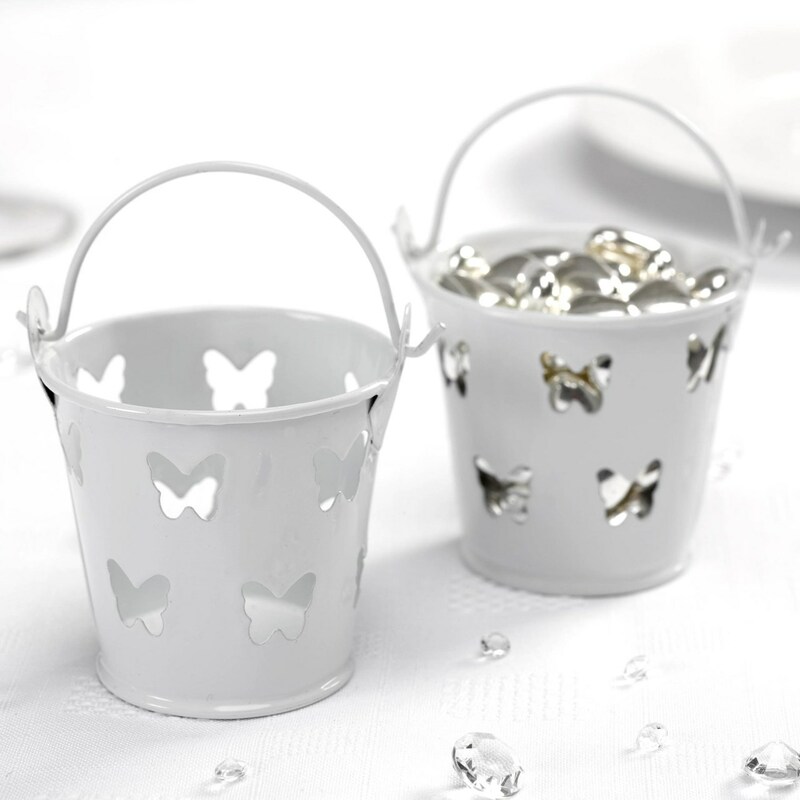 Made from high quality materials, pails can be embellished with luggage tags from the Elegant Butterfly range.